On May 20th & 27th, we are hosting a navigation course with Declan Cunningham of Hillseekers.ie in store. Have you ever opened a map to pick a walk and just fold it closed again? Ever consider taking a walk in the mountains and settle for gardening instead because it’s safer? Ever wondered what the hell compasses point at or why? 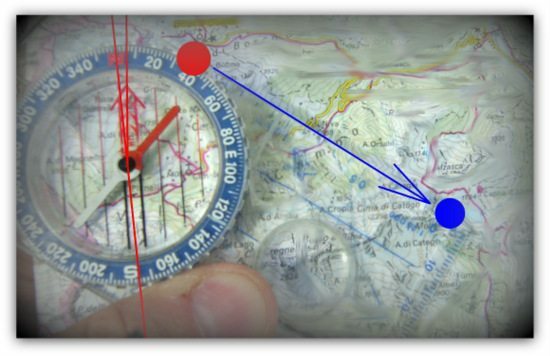 Well, if so, it’s time to stop wondering and start wandering with this starter navigation course that tells you all you need to know to start your own safe exploration as well as tips and techniques on staying safe in the hills. The course itself is organised by Declan Cunningham of Hillseekers.ie. Declan was one of the IT Crowd until he decide to turn it off and not turn it back on again. His true passion has always been the great outdoors and encouraging others to get out there and enjoy it safely. He is a registered BOS Provider for Mountain Skills and offers both formal and informal training in navigation and single pitch rock climbing through his company Hillseekers. Aside from running trips to Kilimanjaro, Elbrus and beyond he also guides on the Four Peaks Challenge, Five Peaks Challenge and runs training walks for charity treks. He has trekked & climbed in far flung places like the Alps, Kilimanjaro, the Himalayas, Elbrus and Greenland. With over ten years in Dublin Wicklow Mountain Rescue Team when he’s not wandering Ireland’s wildest places for fun or teaching people to stay found he’s looking for those who didn’t. The course will run in-store over 2 nights, May 20th and 21st and costs €35.00 per person. Follow the link below to buy your ticket.